Why Read Tax Records? Follow the Money. 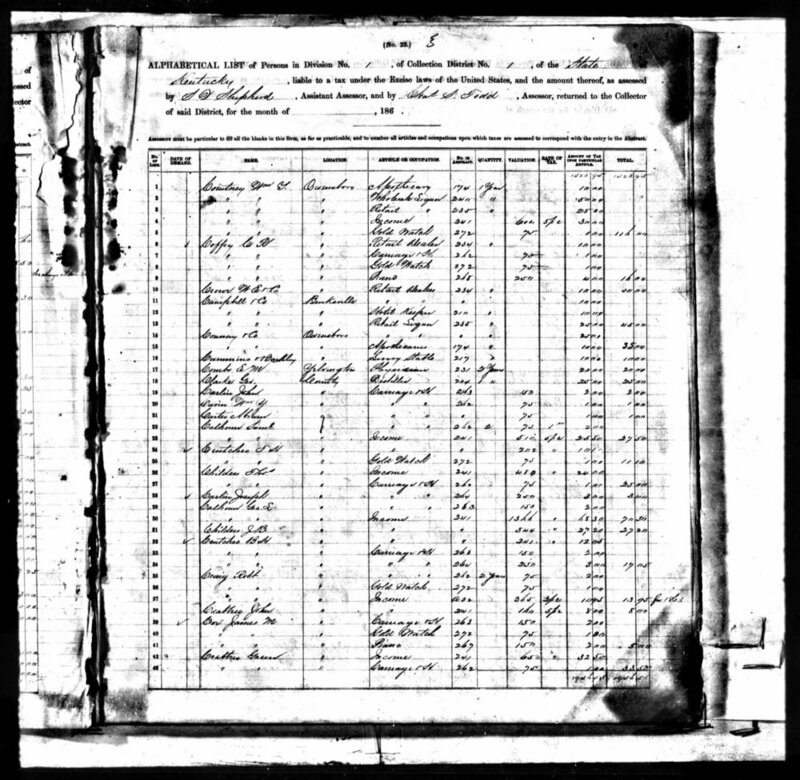 The U.S. Census is one of the primary resources genealogist use when researching a family's history. But the census didn't start until 1790 and only occurred every 10 years. What if you want to find information about an ancestor before 1790 or in-between those census years? Tax records are a great place to look. 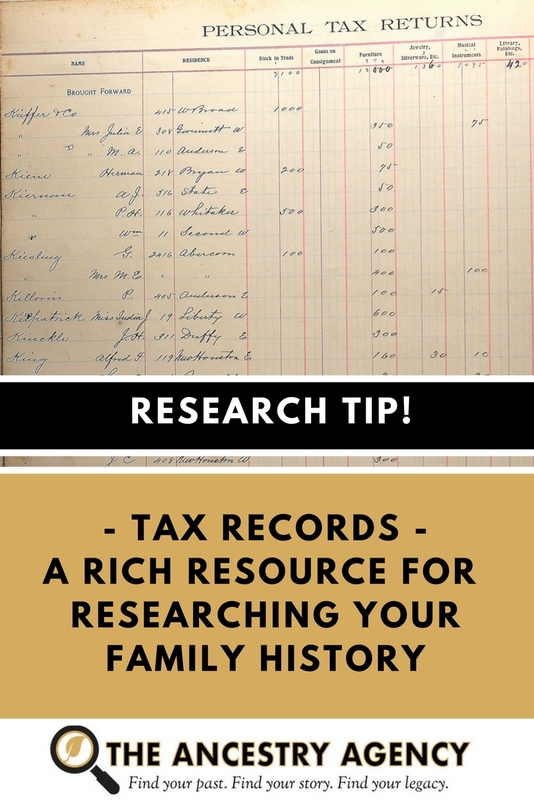 Tax records are detailed financial records with a wealth of information on what your ancestors owned and what they owed the government. And we know the tax man keeps copious notes. How your ancestors earned and spent their money can reveal a lot about their lifestyle. For example, how much they paid in a window tax and beard tax might indicate their social status at the time. Read more about some unusual and wacky tax laws in my post "7 Weird Taxes You Probably Didn't Know About ." When Did Taxes Start in the U.S.? Taxes are as old as civilization itself. But the U.S. held off on taxation. The U.S. briefly collected income taxes between 1861-1872 to pay for the civil war at 3% on incomes over $800. The federal income tax was officially passed by Congress on July 2, 1909, and ratified February 3, 1913, when the 16th amendment established Congress's right to impose a Federal income tax. States and local municipalities also collected taxes. You will find these types of taxes recorded separately in different books and sometimes all on the same ledger. See below for some examples. "U.S. IRS Tax Assessment Lists, 1862-1918." Digital images. Ancestry.com. http://www.ancestry.com : 2018. "Savannah, Georgia, Land Tax and Property Records, 1809-1938" Digital Images. Ancestry.com. http://www.ancestry.com : 2018. What’s Missing in Tax Records? Married women and people of color. Usually only white males of legal age are listed on tax roles. In most cases, married women and minorities could not own property. You will find single women and widows listed, which is a great resource when tracing female ancestors. Ancestry.com - has the largest with with 89 tax record collections in the United States and 37 searchable collections from Europe. MyHeritage - has 10 tax record collections including Texas from 1846-1900 and Ohio 1800-1850. National Archives and Records Administration (NARA) and regional facilities. So get out there and start digging for some ancestry gold in those records! But before you start looking up your ancestors tax records, make sure you've filed yours.